Red algae. 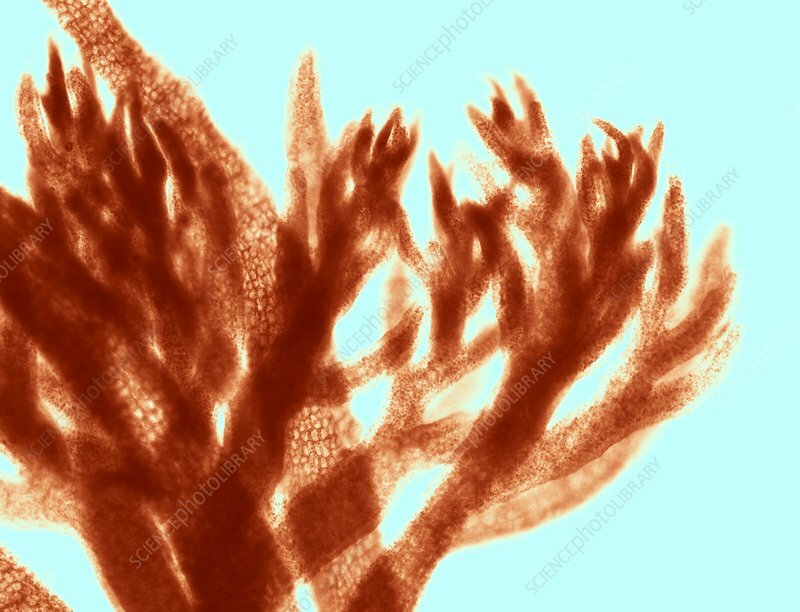 Light micrograph of filaments of the red alga Polysiphonia sp. This marine algae is found throughout the world inhabiting rock pools and water up to 27 metres deep. Horizontal object size: 1.2 mm.